Finally! The wait is over! Huawei's highly anticipated Nova 3i with beastly specs for the price and quad cameras is now available nationwide. Huawei has officially introduced the said device at the activity center of the Glorietta shopping mall in Makati City. 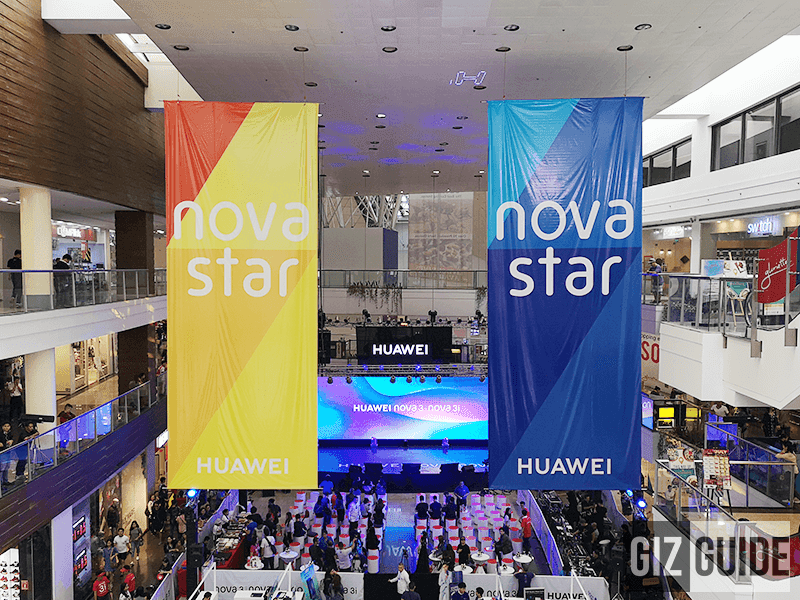 Huawei occupied 2 activity centers in Glorietta mall for the launch of the new Nova phones! They also launched the higher-end Nova 3 with flagship-like specs at a mid-range price tag. The Nova 3 boasts a 3D curved glass design, Kirin 970 chipset with dedicated NPU chip for AI, 3,750mAh battery, 16MP f/1.8 RGB sensor + 24MP f/1.8 monochrome sensor dual cameras at the back, and 3D face unlock tech with IR light. 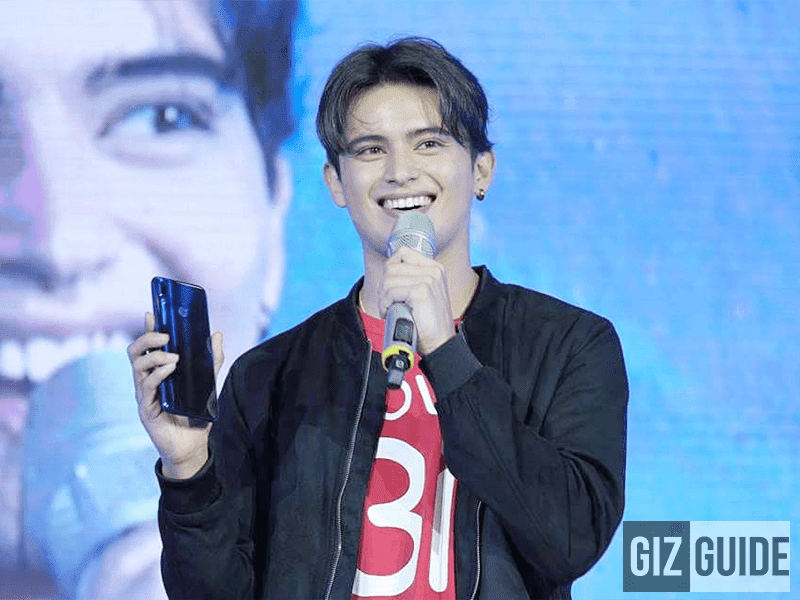 At that event, Huawei formally introduced James Reid as the company's brand ambassador for the Nova series. Huawei also highlighted the new concept store in Glorietta with customer service inside. The concept store has most the latest smartphones and accessories of Huawei. It include entry-level to flagship smartphones. The said new concept store even has the cool remove the bacteria from your smartphone service. 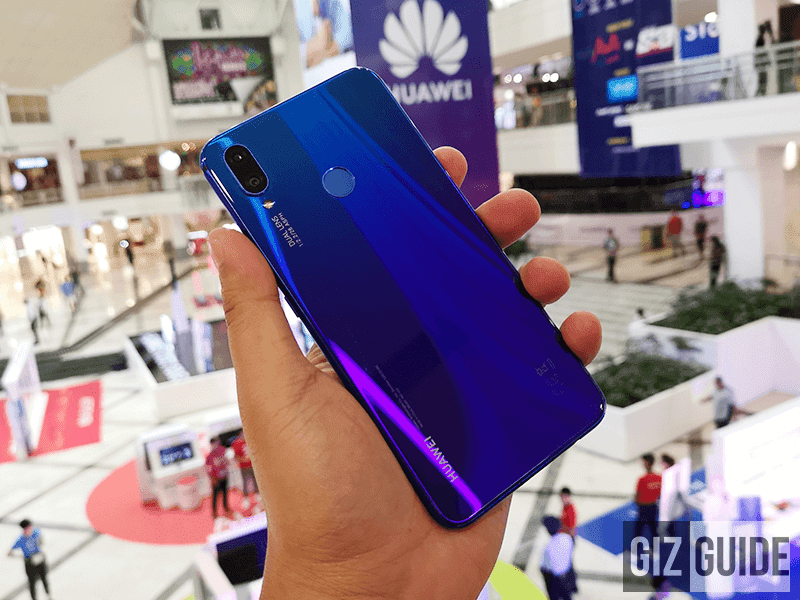 The Huawei Nova 3i is priced at PHP 15,990 only. It is available at Smart GigaX Plan 1299 and Globe ThePlan 1499 postpaid deals. On the other hand, Huawei Nova 3 will be available for pre-order starting August 4 to 10. Those who will pre-order will get a FREE premium Bluetooth speaker. It will formally be available in the country on August 11 for PHP 25,990. It is also available at Home Credit for 0 percent at 6 months or 9 months.